Vince received his bachelor s degree in Environmental Science with minors in Chemistry and Sociology from Christopher Newport University in Virginia in 1997. From there, he worked as a laboratory chemist before acquiring a position as a tech in the electron microscopy lab at the Virginia Institute of Marine Science in Gloucester, Virginia. He entered into the graduate program at VIMS in 2001 working on Pfiesteria. Vince earned his doctoral degree from VIMS in 2008 and accepted a post-doctoral appointment at the University of Southern Mississippi Department of Marine Science working on optical detection and characterization of harmful algal blooms in the northern Gulf of Mexico. 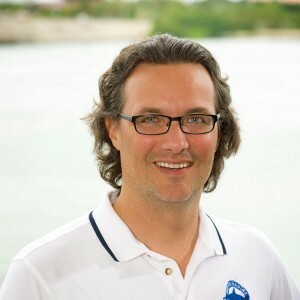 Following the completion of his post-doc appointment near the end of 2010, he accepted a position as staff scientist at Mote Marine Laboratory in the Phytoplankton Ecology program. Vince is now the Program Manager of the Phytoplankton Ecology Program at Mote.